Located at 45 Boulevard Raspail, in the St. Germain-des-Pres area of the Left Bank, the hotel was originally opened in 1910 by the Boucicaut family, founders of Le Bon Marche. Acquired by The Set, known for their sensitive and transformative restoration of historical properties, the hotel was closed four years ago for an ambitious period of restoration and refurbishment that has returned the property to its rightful place amongst the city’s Palace hotels and as the only Grand hotel on the Left Bank. 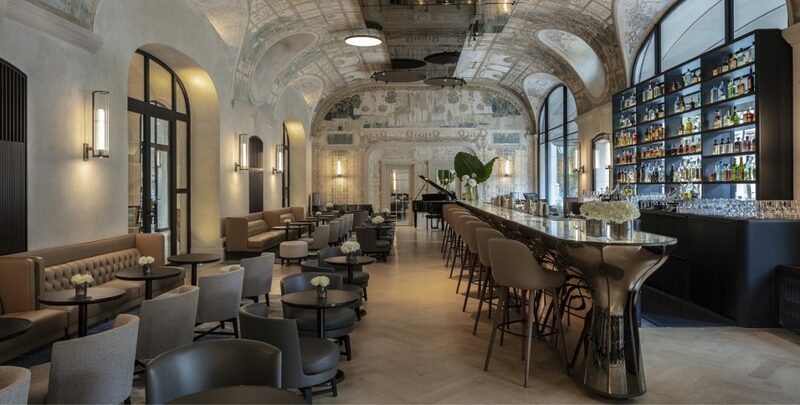 The Bar Josephine, the Salon Saint-Germain, the Orangerie, a lounge and open-air courtyard – a new addition to the hotel and the Salon Crystal, all under the stewardship of Executive Chef, Benjamin Brial. 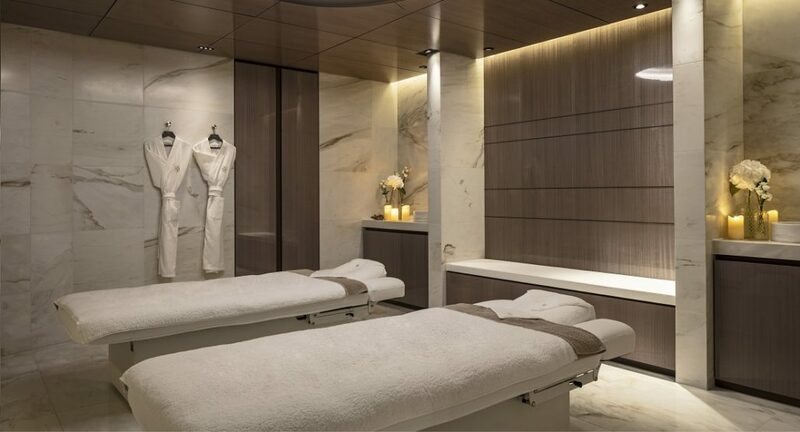 One of the most defining features of the rejuvenation of this legendary landmark is the creation of the Akasha Holistic Wellbeing Centre, a 700 sqm/7,500 sq. ft spa. 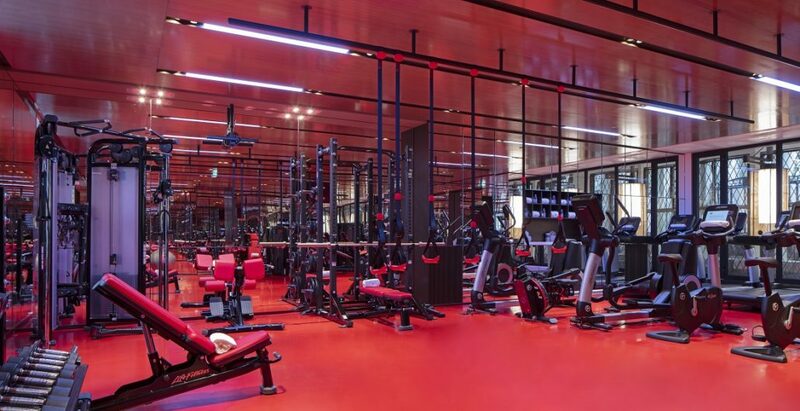 Six treatment rooms will offer a huge array of the most sophisticated treatments and massages, a sauna, steam room, plunge pool, infinity edge Jacuzzi and large fitness room with state-of-the-art equipment will also be available. 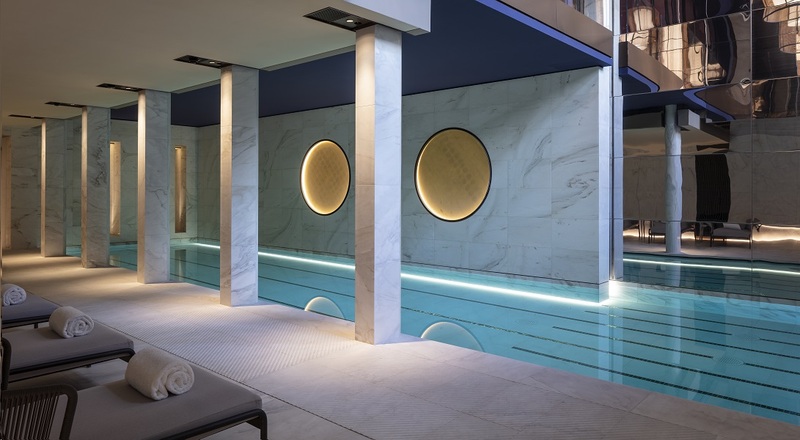 Bathed in natural light, a rarity in Paris, the 17-meter long swimming pool completes the experience. Capacity: 140 Rooms, 47 suites and 7 Signature Suites. 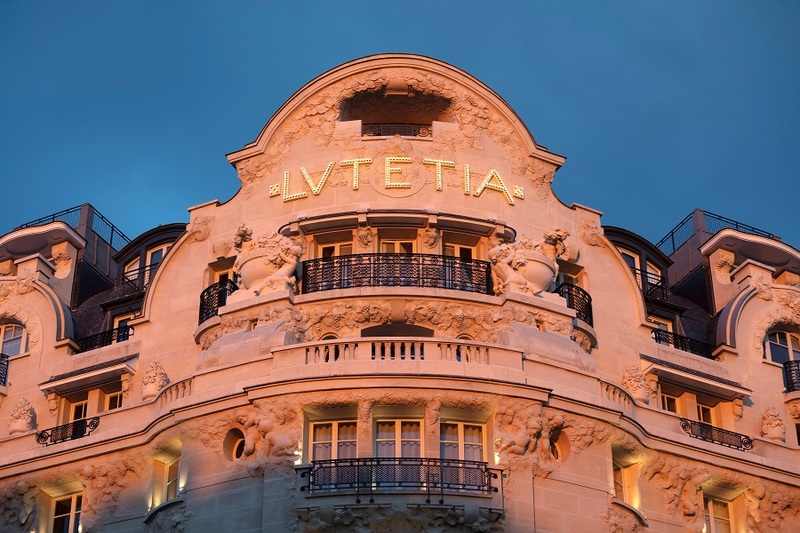 Lutetia has 184 keys, spread over seven floors, including 47 suites. This figure is significantly reduced from the original total of 233, allowing for larger rooms. Seven signature suites, including a two-bedroom Presidential suite and two penthouse suites with private access to terraces as large as 70 sq. metres and boasting an unrivalled 360-degree view of Paris will be the crown jewels of this renaissance. Further information will be forthcoming regarding the illustrious names tasked with bringing their unique creativity to other signature suites. 10% discount on the Best Available Rate for Paris Webservices' clients. Free upgrade upon availability for Paris Webservices' customers. Suites with outdoor terraces offer a spectacular 360 degree views of the City of Light. Jazz fans can enjoy music at the Bar Josephine. Akasha Holistic Wellbeing Center, offering massages, sauna, steam room and a 17-meter long pool. Check-in from: 3 pm Check-out until: 12 pm. Bar open from 11:30 am to 11 pm. The interior design was also a complex and exciting challenge. 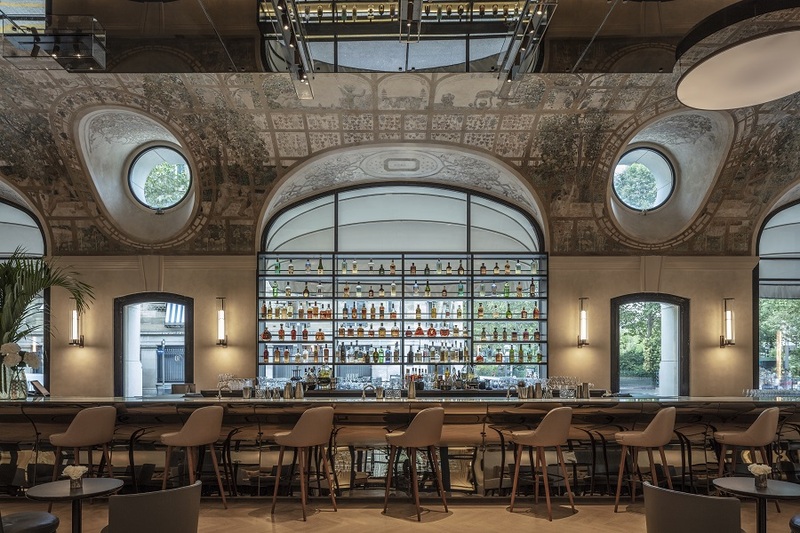 To renovate the legendary decor, on the cusp of Art Nouveau and Art Deco, and bring it into the 21st century, the architect revived what was hidden and reinvented what no longer existed. This meticulous, thorough, and painstaking work was approached with the help of the architects Perrot & Richard. The cream of the world of arts and crafts participated in the renovation of the stained-glass elements, decorative paintings, frescos, mosaics, sculptures, and so on. Priority was given to use of wood and especially eucalyptus, particularly in the areas where visitors will circulate. Thanks to this precise, respectful and sensitive renovation, Jean-Michel Wilmotte has achieved much more than just an architectural restoration. He has accomplished a mission of memory, history, and emotion. Rooms with a reservation must be cancelled before 3PM the day prior arrival to avoid payment of the first night. Reservations without guarantee cannot be blocked. Guaranteed reservations are maintained for the night and in case of no show, the cost of one night will be charged (taxes plus room rate). In case of an anticipated departure, the cost of one night will be charged if not noticed before 3PM the day prior arrival.